As a young geologist, I once did some library research on the terrain and climate of Iran. I came across an interesting fact. There is a small city named Bandar Abbas, located on the southern coast, that has the most dismally awful kind of hot weather I had ever heard of. Daily highs, not just in summer but through most or all of the year, are typically 120 degrees Fahrenheit. 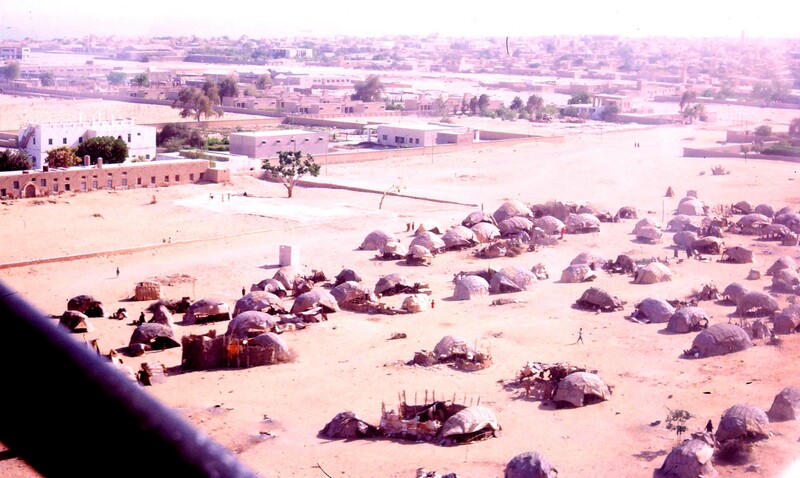 In its desert location the city lacks sheltering vegetation and is exposed to frequent dust storms. Thanks to the warm waters of the Persian Gulf, Bandar Abbas normally experiences humidity of 90 percent. In those years my friends and I were all newcomers to the Washington, D.C. area, and we often vilified the hot and humid local climate. Armed with my little gem of information about Bandar Abbas, I was able for years to take the lead in every conversation about wretched climates. For me the stakes were high. Considering the miseries of the place, it was essential that I get there, do my job, and get out FAST. I would need a vehicle with driver for the terrain reconnaissance. I would need some time in the commanding colonel’s schedule for an interview, and also an interpreter for that interview. Finally I would need transport in a Gendarmerie aircraft to my next stop in Kerman, because there was no service by Iran Air between the two cities. Leaving nothing to chance, from Shiraz I sent a telegram to Bandar Abbas asking if all these things would be available. The answer came quickly that everything was GO, and that I would be expected soon. Too bad – I had sort of hoped, secretly, that there would be problems enough to cancel the visit. As our flight from Shiraz touched down at Bandar Abbas, a cheery announcement from the captain rang out in English: “Welcome to Bandar Abbas! The time is 11:02 am. The temperature is 116 degrees Fahrenheit.” As my colleague Fritz and I walked down the steps from the plane, we saw the “Welcome….” echoed on a sign assuring us that the unthinkable had actually happened. Here we were in this dreadful place! We hurried into the shade of the main terminal building — a flat canopy perhaps 15 by 25 feet, without sidewalls, which kept the sun off the ticket sellers and baggage handlers and the waiting (and standing) public. A short distance beyond we saw another similar structure, apparently the cargo terminal. And beyond that, it was reassuring to see a Gendarmerie plane, a four-seat Cessna, which presumably would be our transport out of this place and on to Kerman. We had expected to be met by a gendarme, but no such luck. After about 20 minutes one drove up in a jeep. He spoke no English and he clearly was not looking for us. Showing him our Gendarmerie photo-identification cards, we got the message across that he should take us to his leaders. After an hour at the headquarters, being interviewed by numerous functionaries who did not speak English, we found ourselves back in the jeep headed across town to the Gendarmerie officers’ club. This was a brick-walled compound with open gardens and, along two sides, sleeping rooms fronted by a portico. The rooms were all equipped with window air-conditioners, but none seemed to have any electrical hook-up. So we sat in the shade of the portico. We saw only one person, an attendant in white waiter’s jacket. Lunch did not seem to be forthcoming, but he frequently offered large pitchers of ice water. At the second offering, considering the temperature and humidity, I decided to accept his water. I would worry later about the little black worms. Fritz did the same. Thus we passed a long and uneventful afternoon in the heat. About 6 pm, who should come in but our nemesis, the young Gendarmerie pilot Ali! He who had abandoned us two weeks earlier in Bushehr, another unpleasant town on the Persian Gulf! With his usual smile (or smirk, as I saw it) and a twinkle in his eye, he asked what the HELL we were doing here in Bandar Abbas. After hearing our story, he sympathized. No, we couldn’t talk to the colonel – he was out in the hills fighting bandits. Nor could we use that plane we saw at the airport. That was Ali’s, out of the general’s headquarters at Bushehr. The colonel did indeed have a plane here in Bandar Abbas when he telegraphed us, but the next day it was sent to Tehran for routine maintenance. Too bad! Ali suggested we go downtown for dinner. Afterwards he would see to it that the acting commander, a captain, would come over for our interview. Ali picked an open-air restaurant in which we sweltered as the humidity climbed still higher into the evening. I sort of picked at my meal because the diarrhea, which I’d had since Bushehr, was still a frequent visitor. I did eat lots of raw red onion like an apple. I’d heard it was good for the diarrhea, but something had gotten lost in translation. It was good for prevention, not cure, and it really aggravated an established case of the runs! Back at the officers’ club, the captain arrived as promised and, with Ali as our fluent interpreter, we disposed of threats and field operations in less than half an hour. 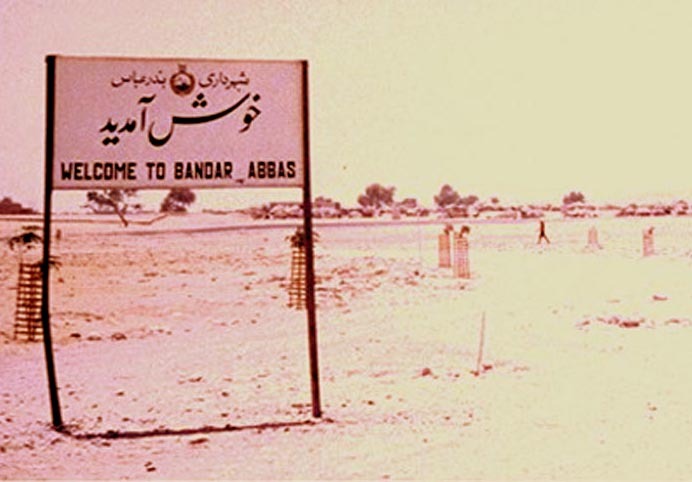 Then we were about to move into the really important subject – how the devil we could get out of Bandar Abbas and on to Kerman – when fate struck a cruel blow. The official interpreter arrived, speaking only a smattering of what seemed to be Pidgin English. Ali yielded to him completely and, still smiling, listened but said no more that evening. After the interpreter took over, there was little mutual understanding and certainly no agreement on anything. We caught the general drift that the good captain might send a telegram to Bushehr asking permission for us to use the general’s plane. Only one thing had become completely certain: We would be spending the night in this place. Fritz and I moved cots into the open courtyard to get as much air as possible. After a grueling day we actually slept quite well until just before dawn. By then the temperature had fallen to a chilly 95 or so, but the humidity seemed to have surpassed 100 percent. Throwing off the sheets, I learned that clouds of flies had moved in. They didn’t bite but they were most eager to explore – and tickle – every inch of exposed skin. So for the next hour or so I took turns between suffocating under the sheets and entertaining the flies. Then it was time to get up. Fritz went for an early swim in the Gulf but returned quickly, reporting no refreshment at all – the water was at body temperature. Then the man in the white jacket served a surprisingly good breakfast of scrambled eggs. Ali’s arrival in time for breakfast might have had something to do with it. Next began our morning’s work of hourly checks with the local headquarters to see whether Bushehr had given us permission to use the plane. In this dicey situation, a field trip for terrain reconnaissance didn’t even deserve mention. By noon things were looking grim, so I called Iran Air and was thrilled to learn that a plane would be departing for Shiraz at 2 pm; I made reservations instantly! Before leaving the club, I drafted a telegram to the American Military Mission in Tehran explaining that we would have to depart from the agreed itinerary. We would be taking Iran Air to Shiraz instead, because the general in Bushehr had not given permission to take his plane to Kerman. Ali promised to send the telegram. As two o’clock approached, we arrived at the airport, bought tickets and checked baggage, and then watched with pleasure as the plane landed and taxied up to the terminal. Deliverance was at hand! But at the same moment, a smart-looking sedan drove up and out popped – the colonel, who was supposedly fighting bandits in the hills! The telegram, with its potential for embarrassment at the highest levels, had ended up on his desk and had scared him out of hiding. He announced with a flourish that the Gendarmerie plane would fly us to Kerman. He went on to say that Bushehr had no problem with this at all. The captain had simply failed to ask them, and for this he was already in the stockade with court-martial proceedings scheduled for next month. My highest goal now was not to spend another night in this place. So I summoned up maximum belligerence, reminded him of the colonel’s promise and the colonel’s reputation at stake, and warned of untoward international incidents if we didn’t leave this very day per schedule. He gave in, but would need an hour or so to prepare the plane. We’d best wait at the officers’ club. Driving back, as we passed a seedy-looking hotel I saw familiar baggage out in the street. It belonged to Rinkel and Marciniec, two other members of our party who had been traveling separately from Fritz and me. I entered the hotel and found them in heated argument with assorted Iranian officials including one gendarme, two members of the National Police, and one member of the Savak, the secret police. Our colleagues were glowing both with rage and with painful sunburn. The story emerged that during the previous night they had suffered enormously trying to sleep with rats in a Gendarmerie outpost. Then they had ridden some 70 miles in the back of a pickup truck over bumpy roads ‘neath the searing sun. Arriving in Bandar Abbas, they discovered a luxurious air-conditioned hotel where they enjoyed a steak dinner. Then they attempted to check into a room at the hotel. At that moment all these officials descended upon them, physically wrestled them out of the hotel, and brought them to this fleabag where they were curtly instructed to check in. As party chief I felt compelled to call upon my belligerence once again, and was in the process of protesting when the colonel drove up and took me aside. He explained that the fine hotel my friends wanted was not really reputable. Rich men from the neighboring Arab states came there to meet lady friends, and they actually rented rooms by the hour rather than by the day. No end of embarrassment would result if Americans, while working on a project for the Gendarmerie, should get into any trouble in this house of ill repute. I couldn’t fight this issue, so I told our colleagues the sad facts of life, wished them a happy stay in the fleabag, and went on my way. We did fly that afternoon to Kerman. Shortly after take-off, I looked down at dome-shaped dwellings just outside the city, apparently an encampment of nomads. I marveled at their ability to endure such heat and humidity. As we flew on, the ride was indeed bumpy, but Dramamine did its work; and new adventures awaited. As feared, this jaunt seemed to have resulted in everything going wrong that could go wrong. But there was one major exception. Only after returning to Tehran did I learn that the story of the little black worms was out of date. Bandar Abbas boasted water of the finest quality from a new and modern system.